After 36 hours of research and comparison, we concluded that the Klipsch ProMedia 2.1 is still the best computer speaker in 2019. While these are slightly older speakers, they’ve earned their position being some of the best computer speakers on the market with great audio. Don’t just take our word for it, it is backed up with a THX certification! If you’re looking for small or wireless speakers, this ain’t for you. But we have the best in these categories below. Read more to learn about it. 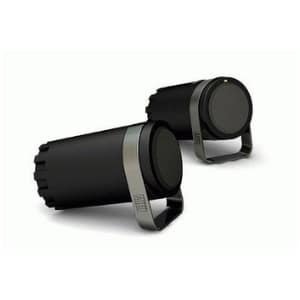 The Klipsch Promedia 2.1 has been around for over a decade now; in fact, it’s still considered a high quality computer speaker to this day. Even though it’s older, it still has outstanding audio quality. While it is a little bulky, it shouldn’t clash too hard with your modern setup. The THX certification assures that this has gone through and passed rigorous testing to attain such quality audio. For its age, it’s surprising that it still is able to compete with modern themes efficiently. And this is one huge factor that makes them worth getting even though these were originally released way back 2002. The Logitech G560 has an outstanding audio quality for casual and competitive gamers. 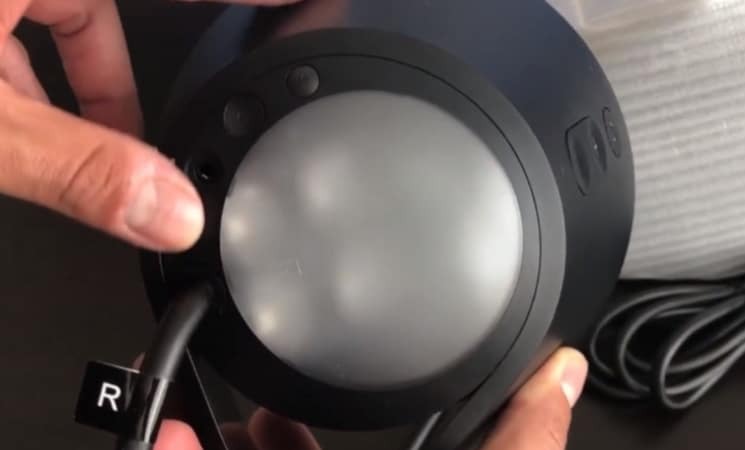 It supports Bluetooth connectivity and its RGB lighting can be synced to your game to enhance the experience. Logitech’s G560 speakers aren’t as extravagant as the more expensive options on the market but they do offer similar sound quality. This 2.1 computer speaker makes games not just sound better but look better as well thanks to the LIGHTSYNC RGB that pulsates along with the game’s content. An angled compact speaker with excellent sound quality that’s perfect for users with limited desk space. 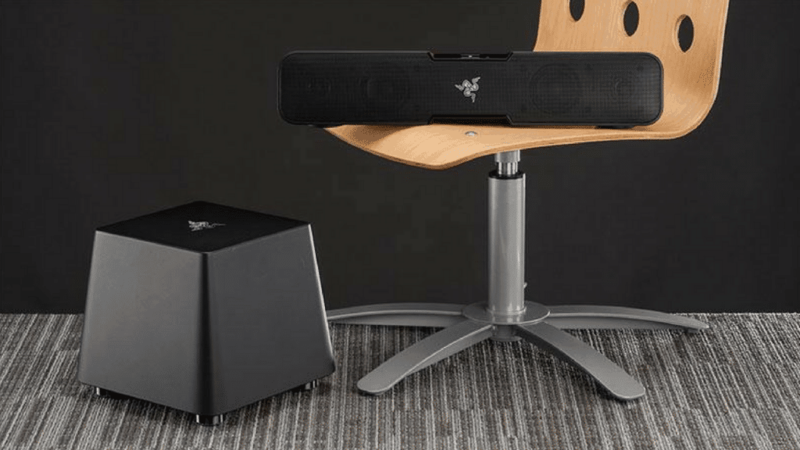 The Altec Lansing BXR 1220 is a 2.0 computer speaker that will fit in any setup. This is USB-powered, which means it does not come with a power brick nor does it need to be plugged in. The T30 is a wireless speaker designed for high-quality music streaming. These also come with knobs to adjust the amount of bass or treble you’re getting. These are the best Bluetooth computer speakers you can get in the price range. 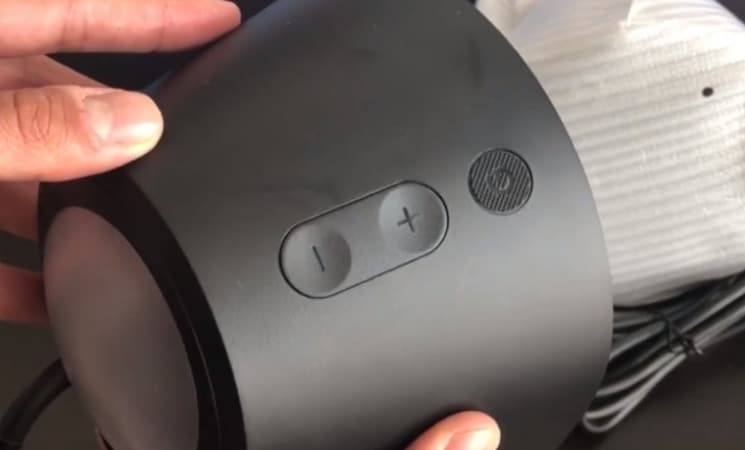 Aside from being a wireless speaker, the Creative T30 Wireless Bluetooth speaker also utilizes the NFC (Near-Field Communication) feature, which lets you pair devices easily without the need to manually do it. A very affordable computer speaker that doesn’t require a power brick or a 3.5mm jack while still managing to sound a lot better than its competitors in the entry-level price range. While the Logitech S150 are cheap, they aren’t cheap. Ultimately, the low price point and the clear quality difference between these and the rest of the speakers in this price range made this our budget pick. We’ve been in the computer industry for a few years now and in that time we’ve learned how much audio quality can make or break your experience-- whether you’re a gamer, just wish to Netflix and chill, or listen to your favorite artist with your family. 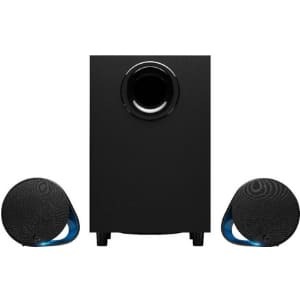 The most important feature when buying a computer speaker is the overall sound quality. We’ll go over how to determine this more below. 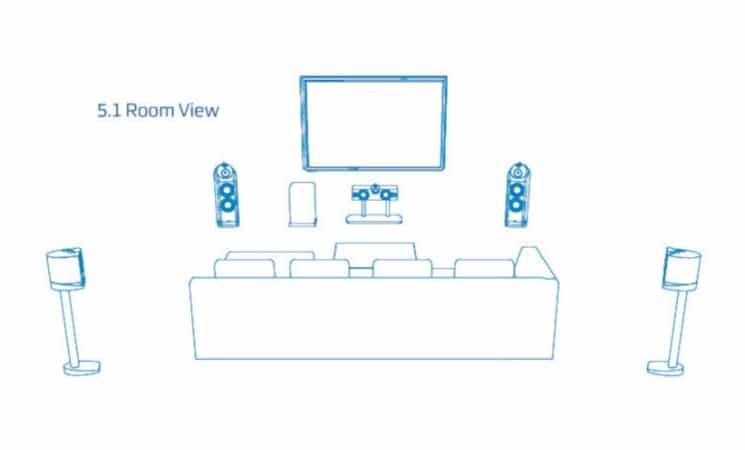 You don’t technically need surround sound (or 3D sound), but why wouldn’t you want it? It can immerse you further into games or movies, which makes those experiences more valuable as a result. Oh, and you get to really appreciate all the hard work those audio engineers put in. Luckily, our roundup is proud to support this feature with flying colors. We’ll also be talking about this more below. Aesthetics are only as important as you make them, but that can be really important if you’ve already spent good money on a nice setup. Thankfully, we feel all of our speakers range from nice looking to inoffensive at the very least. However, if you’re strapped, we’d recommend going with our budget pick over a similarly cheap, more stylish, less functional speaker. We know that first-hand experience is golden. This is why our selection method is not limited to our expertise in the field alone. Rather, we specifically looked into real-world experiences with the product, especially long-term durability and use. So, remember how we said you should focus on quality, but then kind of skipped out on how to identify quality speakers? Well, we’re about to get to that. It’s important that you have an idea about what you want, whether that be gaming or mobility (Creative T30). If you’re a gamer, then you will be better off going with a speaker that supports 3D surround (Logitech G560). This will give you clear directional audio cues to keep you from getting killed from behind (ermmm… it’s not what you think). If you fancy movie marathons with the family or party with your friends, then at least a 2.1 speaker is advisable to hear good balance and good sound quality. A rule of thumb when shopping for computer speakers is that expensive is not always best. A good example would be the Razer Nommo Pro which cost $500! But these didn’t make our list because-- aside from the fact that its price tag is just “oof!”-- they don’t really have any features that differentiate themselves quite the same way their price tag does. To give you an idea, computer speakers should cost anywhere from $20 - $300. What is a THX Certification? THX certified speakers are speakers that passed rigorous quality assurance and testing to ensure an optimal audio quality and entertainment experience. You’ll likely recognize the THX logo from a movie theater. Unlike cameras that will greatly improve image quality when paired with accessories, computer speaker accessories have nothing to do with improving the sound quality. Rather, they provide convenience, like how a remote lets you adjust volume on-the-fly. 2.1 or 5.1 Surround Sound? The numbers you’ll find as part of the name, or model, of the speaker refers to the speaker channel. The first number refers to the total number of speakers or audio channels that you place on the sides or behind you. The second number refers to the total number of powered subwoofers. These are the guys that reproduce very low bass frequencies. If you’re going to invest in a computer speaker for entertainment purposes, then at least 1 subwoofer is highly recommended. A subwoofer may not be necessary for gaming but it does add some audio cues and elements that make the game sound better-- or even make footsteps sound more audible. It’s hard to convince a vegan that pork steak is the best meal in town, or a Coke-head that Pepsi is better (not to spark a never-ending debate). Similarly, sound quality can be very subjective. We all have different tastes in music quality and our pick may not sound as appealing to others. How to Connect to Wireless Speakers? If you need a wireless speaker, make sure to check what pairing process it uses. Most speakers are easy to pair with your computer or any device that supports Bluetooth. But there also are speakers that do more than just that. For instance, the Logitech G560, lets you connect 4 devices at once and lets you listen to music seamlessly. Just pause the music on device 1 and play the music on device 2, 3, or 4. 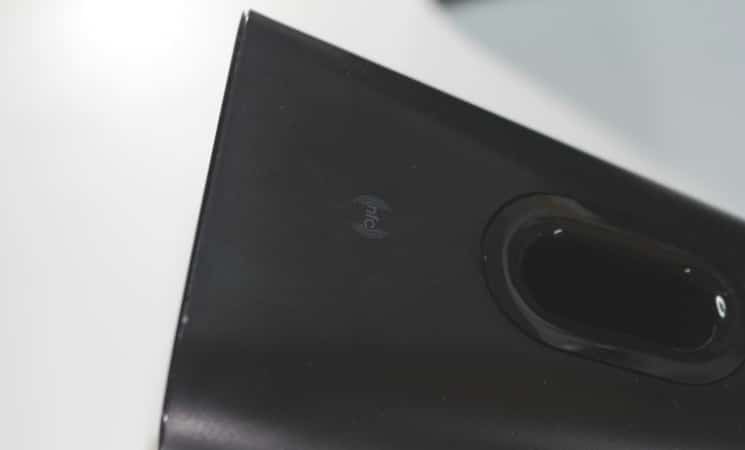 Moreover, there’s also the Near-Field Communication, or NFC by Creative T30, which lets you connect easily just by hovering it over the NFC logo found on top of one side of the speaker. 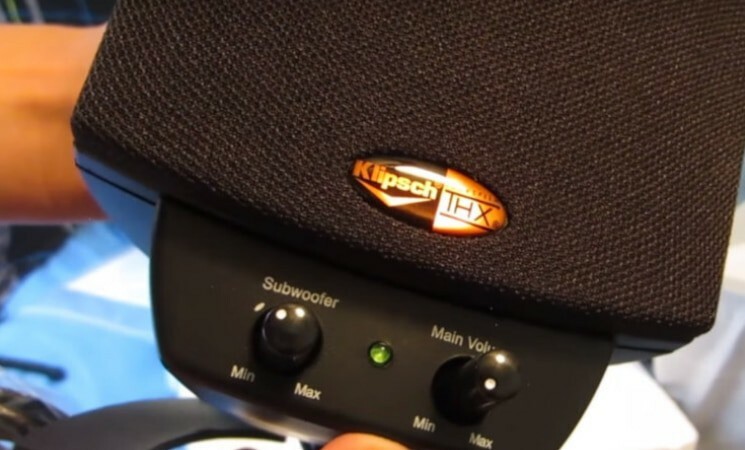 The Klipsch ProMedia 2.1 speaker is a surprisingly popular speaker even to this day despite initially being released in 2002. Even though these would be legally of age to drive here in the US, they still sound great. In fact, they can still compete effectively with today’s speakers. The speakers have aged a little aesthetically. They aren’t nearly as bad as some designs from that era, but they don’t necessarily embrace the same sort of clean lines that are so common in modern design, nor do they feature the over the top angles of current gamer culture. The 2 speakers are angled just right to give you a solid audio clarity. And like the Logitech G560, this also has a subwoofer that handles low-frequencies well. You’ll even feel a little rumble even when the subwoofer knob isn’t turned all the way up. Not that I would recommend turning it all the way up since it can ruin the audio’s quality and clarity. Unlike 5.1 and 7.1 speakers, these don’t handle surround sound very well. Regardless, they still manage to do a really good job with directional audio cues. In fact, explosions and gunshots are well balanced whether gaming or just watching a movie. One thing that’s unfortunate about this speaker is its use of traditional speaker wires since these can be a pain to work with at times while also being highly susceptible to damage. As expected from a speaker with a THX certification, the audio quality is clear and very detailed. High frequencies are crisp and clear, mid-frequencies are solid, and low-frequencies are vivid thanks to the subwoofer. Logitech has released solid speakers (and other computer accessories) for years now. Their catalog features speakers ranging from as little as $20 to over $200. This time around, they are proud to present their very first gaming speaker: the Logitech G560. The build is solid for its price and I personally find it great that it has a matte-finish because this makes cleaning it a whole lot easier. Its design is heavily inspired by the MX Sound (some earlier Logitech speakers) because of the cylindrical satellite speakers. It’s a 2.1 channel compact gaming speaker. 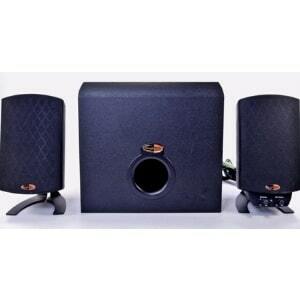 This means it comes with a subwoofer to complement the crisp and detailed high- and mid-frequencies perfectly. The bass is also really good at handling the low frequencies. So good, in fact, you will feel a rumble when grenades blow up near you when playing games like Battlefield. The highs are very clean and they don’t sound very sharp to the ear at all. The mids sound great in the background and they perform well without pushing the midrange vocals too much. The bass is very heavy out of the box but can be easily adjusted via the Logitech Gaming Software to match the perfect bass levels. Aside from being a subwoofer, it also acts as a central hub for connectivity. 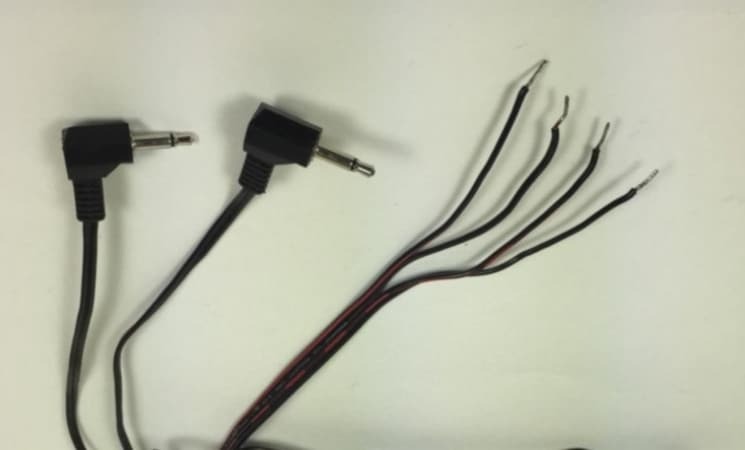 Here, you’ll find a micro-USB that can connect to your computer’s USB port, a 3.5mm input, as well as a left and right channel output that comes in different colors for easy distinction. Wireless connectivity is also inspired by the MX speakers. You can connect 4 devices at once and play music seamlessly without having to mess with the connections. Just pause the music from device 1 and you can then play music from either of the 3 connected devices-- very convenient. The feature that truly sets these speakers apart, however, are the LED lights. These aren’t your ordinary RGB lights because, for the first time in forever, they actually serve a purpose-- and this is to immerse you deeper in the game by setting off lighting patterns according to the game’s environment. For instance, when you’re playing GTAV and are being pursued by the police, the speakers’ LED lights will blink red and blue mimicking the lights on the roof of the police cars. It will also turn red when you’re being shot or are at low HP on DOTA 2. Just keep in mind that the list of supported games is limited only to a few popular game titles. Hopefully there will be more in the coming years, however. 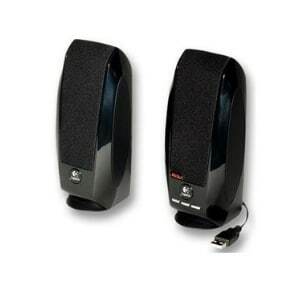 Compact, easy to use, and sounds great-- the Altec Lansing BXR1220 is the best 2.0 computer speakers for the price. On top of being compact, this speaker is USB-powered, which makes it very convenient wherever you may be, especially if you regularly use a laptop or travel a lot. But despite being small, this can be loud if you max it out. This has a USB-cord for power and a 3.5mm jack that goes to your laptop or your computer audio port. The drivers have a fixed angle that I personally wish you could adjust manually. After all, not everyone is going to be placing these the exact same distance away or at the exact same height. Regardless, its compact size makes up for it since you can easily place it on top of a bookshelf or a set of books. 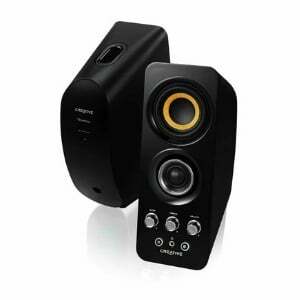 It also boasts a very solid plastic build compared to other speakers in this price range. It is worth mentioning that the powering these on isn’t like most modern speakers. 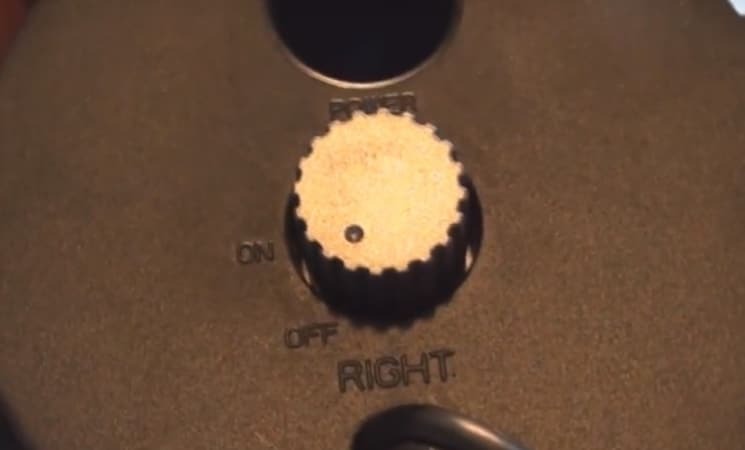 Instead, of a button you push, you use a knob. While this is kind of weird (and arguably bad design), it’s not a big enough of a deal to truly matter. When it comes to sound quality, it actually sounds really good. The highs are handled pretty well while the mids are fair as a whole. The lows aren’t really great, so if you like bass then you might want to look elsewhere. That being said, these speakers should be fine for casual use. We highly recommend the Creative T30 Wireless Bluetooth 3.0 speaker if you need a wireless speaker to maximize convenience and flexibility. Even though you can pair your device to the speaker wirelessly via Bluetooth, the package still comes with a 3.5mm jack-- which is very convenient. To pair your smartphone to the speaker, simply enable the Near-Field Communication, or NFC, setting on your device’s wireless settings (refer to your phone’s manual if you aren’t sure) and hover it on top of the NFC icon found in the right speaker. If you wish to pair this with your computer wirelessly, you don’t have to lift your computer to do so since it can be done manually (although that would be a rather unorthodox way of syncing your computer to your speakers). Just hold down the Bluetooth button at the front of the speaker and wait until the light blinks. From there, simply refresh your computer or your laptop’s Bluetooth to find the speaker and proceed to pair. 2x woven glass fiber cone drivers for clear midrange frequencies. All these can be adjusted accurately to fit your liking. If you want to listen to party music for entertainment, you can turn the bass up for a serious beat drop. Alternatively, you can also adjust the treble to hear the highs better. 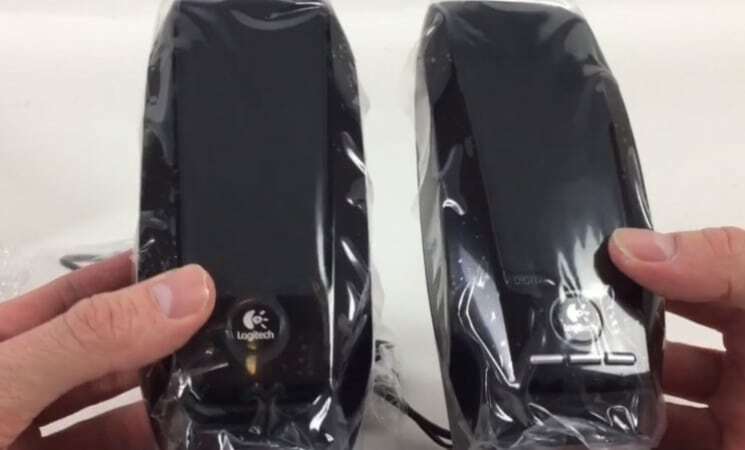 Just keep in mind that both speakers are connected via a wire that goes from one end of the speaker to the other; as such, it isn’t entirely wireless. It just plays music wirelessly. 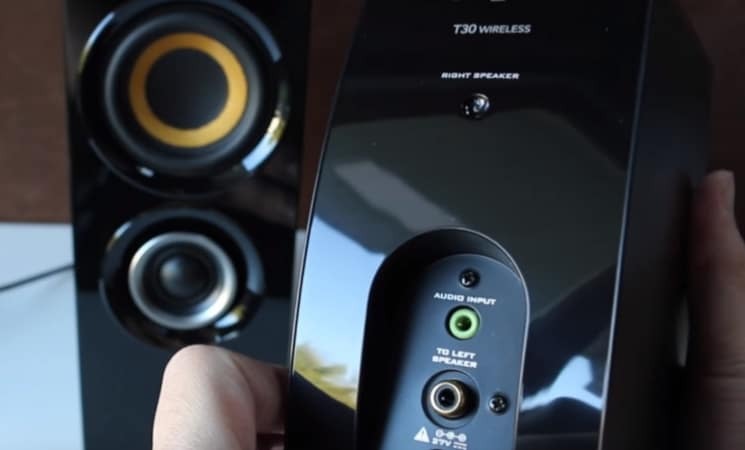 It is worth noting that wireless speakers can introduce a small delay, which can negatively impact your results when playing competitive games. This can be avoided if you’re using the 3.5mm jack that it comes with, though. But if you need a wireless computer speaker for daily use and some casual gaming, this is a decent speaker for the price. Coming in as our budget pick for this roundup is the Logitech S150. 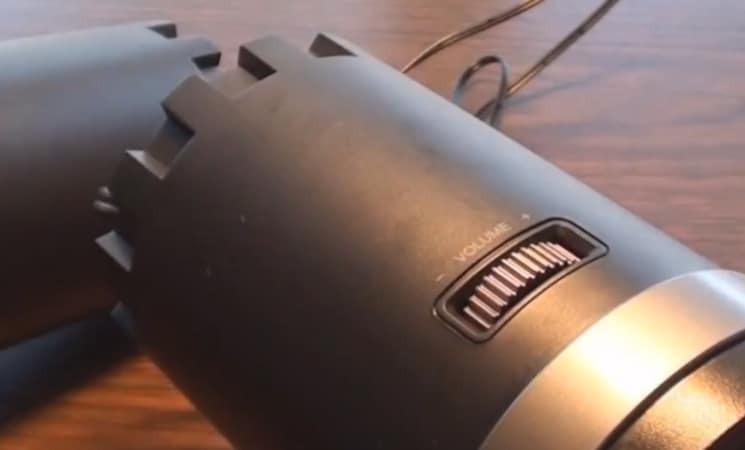 For under $17, you get a USB-powered computer speaker that’s easy to use, perfect for basic usage, does not need a separate power brick, and perfect for computers with a faulty sound card, bad sound output, or just not speakers at all. They look okay, but they’re not premium looking by any stretch of the imagination. But knowing that this is from Logitech, a reputable company known for manufacturing decent computer peripherals for many years now, it’s worth grabbing. For connectivity, you only have a USB cable-- that’s it. Just plug it into the USB port and you have a working digital speaker. The sound isn’t really what you’d want for a great entertainment experience. However, it’s more than enough for basic computer usage: basic gaming, YouTube streaming, and other basic Windows application. There’s no power on or off button, either. So if you want to turn this off, you either unplug it, turn the volume all the way down, or mute it by pressing the middle button. Just keep in mind that the volume buttons control the Windows volume, too. So, if you need a budget speaker that you can surely rely on, the Logitech S150 is for you. Which are the Right Computer Speakers For You? If you’re a serious gamer, get the Logitech G560 gaming speakers. The Klipsch ProMedia 2.1 delivers very similar-- if not the same-- audio quality as more expensive options. Plus, it has a THX certificate that backs up this claim. If you have limited space on your desk, the Altec Lansing BXR1220 speaker is the perfect solution. The Creative T30 Wireless Bluetooth 3.0 is a great wireless speaker thanks to its NFC support. Lastly, the Logitech S150 is the perfect solution if you need a decent speaker that you can rely on. Choosing among the best desktop speakers really boils down to what you need. And now that you know which speakers are best used for what, you should be able to choose a speaker that’s great for you. Tell us what you think about our choices, which speaker is perfect for you, or just share your experiences in the comments in case you currently own or have owned one of these before. We definitely would love to hear from you!